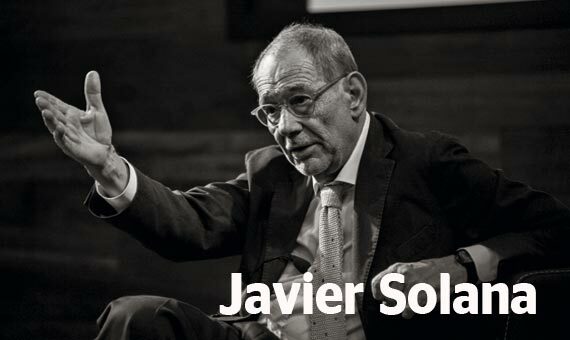 Javier Solana is president of ESADE Center for Global Economy and Geopolitics. He is distinguished fellow at Brookings Institution, senior fellow at the Hertie School of Governance, chairman of the Aspen Institute Spain, honorary president of the Centre for Human Dialogue and advisor to the Institute of Modern International Relations of Tsinghua University. He is also member of the board of the International Crisis Group, the European Council on Foreign Relations, Human Rights Watch, as well as senior visiting professor at the London School of Economics. Dr. Solana has been Secretary General of the Council of the EU, Secretary General of NATO, High Representative for CFSP and Minister for Foreign Affairs in Spain. The weight of the world is moving east, and Europe has not been at the centre for years now. In this context, Member States alone cannot compete with large emerging powers. There is only one way for European countries to participate in global decision-making: together. This need for greater integration in foreign policy is enhanced by the major risks which arise along all of the Union’s borders. We must create foreign policy strategies tailored to each different scenario, and which involve all Member States, leaving aside the particular interests of each of them.